I first begin with tracing my pattern. 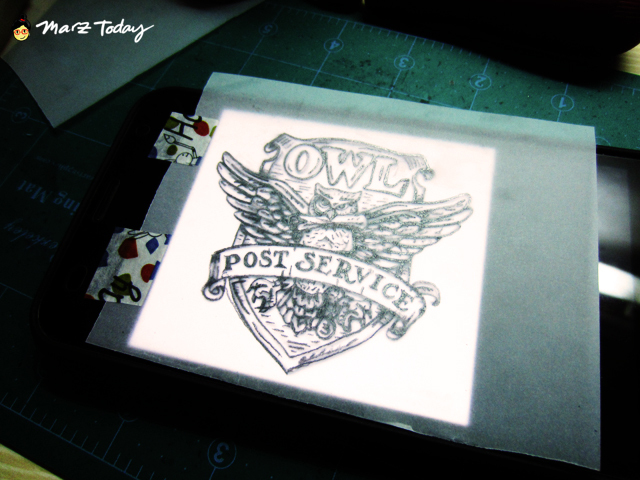 I used my phone's lightbox so can see where I am drawing on my tracing paper. 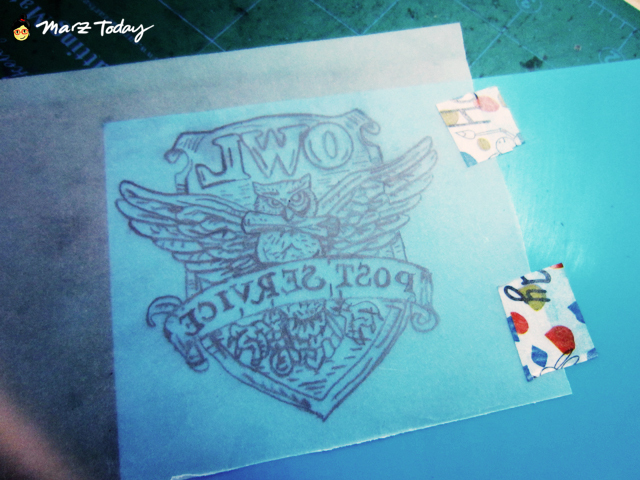 I used washi tape to hold my tracing paper in place. It doesn't leave marks on my phone screen. 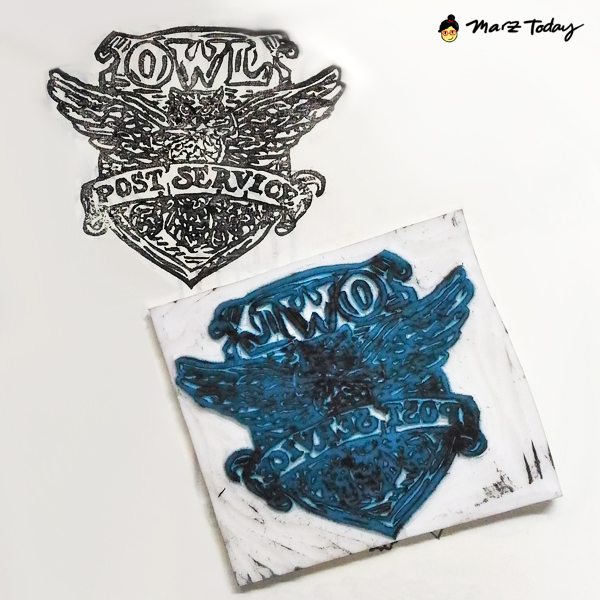 I then transfer the design onto the block by rubbing the back of the tracing paper on the block using any flat surface object. You can use a bone folder or a coin to do this. 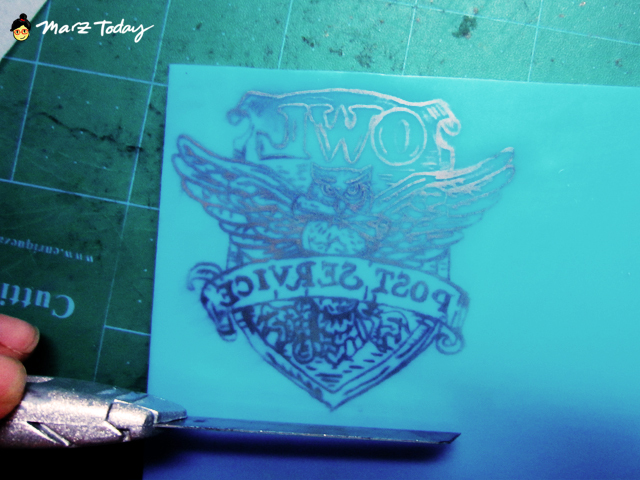 I use the top end of my metal cutter to transfer this image. I sometimes use my fingers but that's not always effective. In the video I used my finger to go over the parts that were not completely transferred. You should get a mirror image afterwards. Next, I cut the piece of the carving block that has the image on it. Carving begins! I start with outlining the shape and then carving the details towards the center. This particular design took me 4 and a half hours to finish carving with breaks in between. 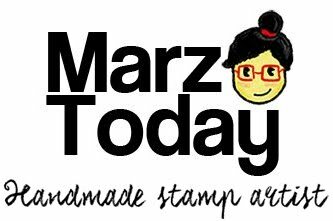 Join me on my next workshop: Stamp Making Session at The Crafter's Market on July 30, 2016.